Sneakers! Who doesn’t love sneakers? We certainly do! 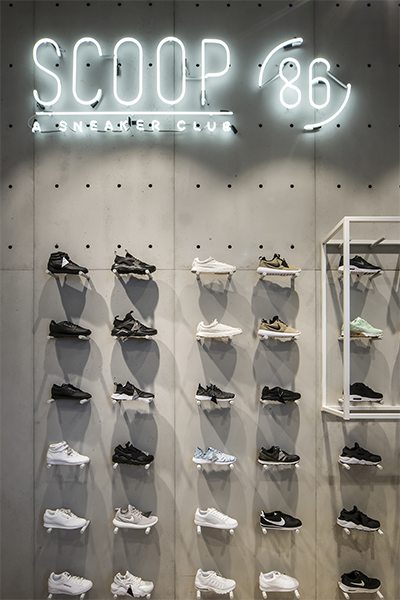 It’s our passion for sneakers and fashion that led us to opening Scoop 86 – a unique sneakers and lifestyle store in the north of Luxembourg. Any outfit can be made better or more interesting with the right sneaker. And this is exactly where we come in. The Scoop 86 team will go to great lengths – even to the moon and back – to find you that perfect sneaker for your unique style. Whether you’re the more elegant or the more sporty person or if you’re looking for that exclusive rare edition – we’ve got it all covered. Find all the biggest brands such as Nike, Adidas, Asics, New Balance, Saucony or Puma but also do not hesitate to ask us about our special gems or brand recommendations if you’re looking fort he less mainstream styles. Scoop 86 is more than just a store. We’re also the founding members of the first and only sneaker club in Luxembourg. Our club is for sneaker lovers only and we have very strict entry requirements. Just kidding – we would love to have you become a member and be part of the community. So stay calm, feel great and become a member of the exclusive Scoop 86 sneaker club. The Scoop 86 store is an experience in itself. Come join us and walk within this state of the art sneaker universe where wood meets metal and concrete. 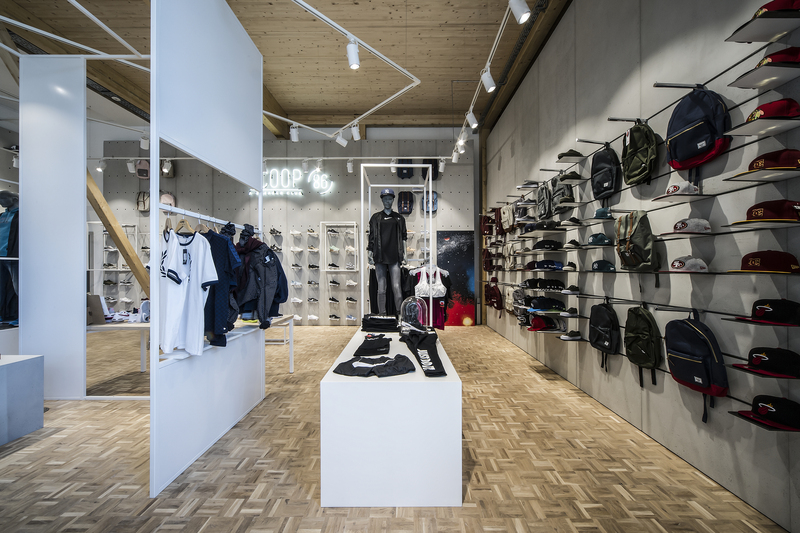 We’re talking 350 sqm of sneakers, streetwear and accessories! And we won’t stop there: We also included a lounge bar for you to relax after your exhausting decision on whether to buy the new adidas or some new Air Jordans. Yeah we know – sneaker related decision-making can require a drink to properly unwind. We at Scoop 86 are aware of our social responsibility. The store building is an ecological wood construction and we produce our own electricity via our photovoltaic installation. For all of you electro-car and E-Bike lovers out there– rest assured – we also offer charging stations in front of our store. 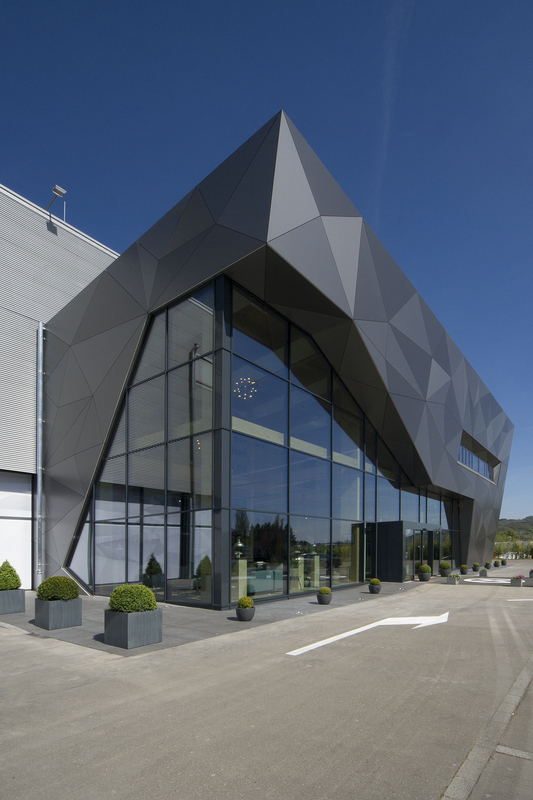 Our store is hard to miss in the idyllic landscape of Luxembourg’s north. Scoop 86’s futuristic appearance stands out from afar. 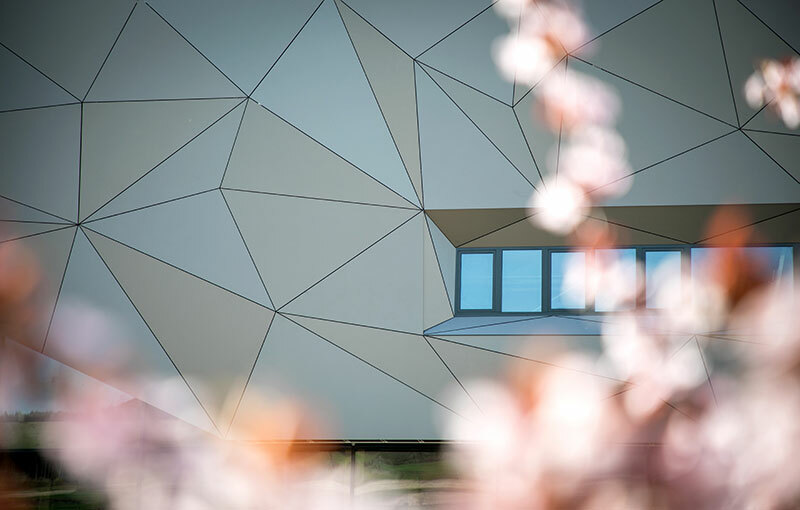 We’re based in Ingeldorf, right between Ettelbruck and Diekirch, in front of Asport.